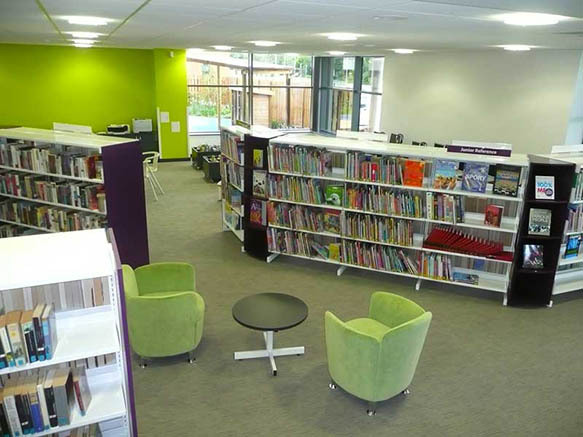 Cleadon Park Library has been co-located with a large Primary Care Trust Centre of around 4000 square metres. The building houses a wide range of medical facilities with a shared atrium entrance featuring a large community art work. 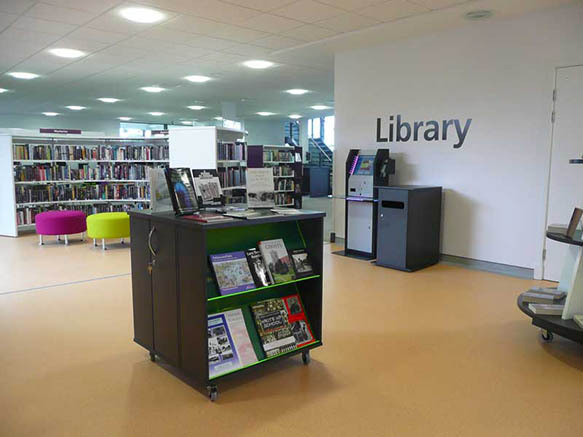 The Library is placed over two floors and has two distinct colour moods - a bright and lively atmosphere on the ground floor and a more traditional feel to the upper floor for those who still like some quiet time. 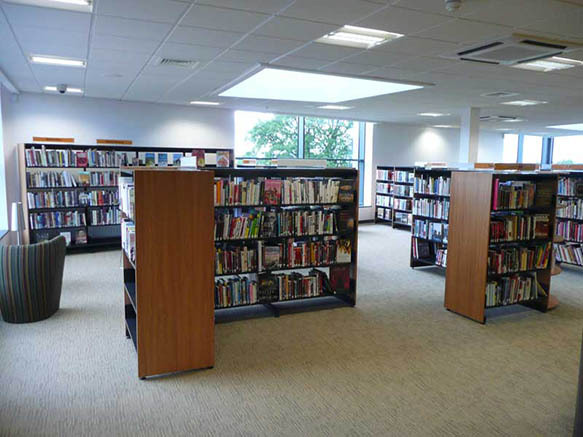 The Library is situated alongside a suite of community rooms.